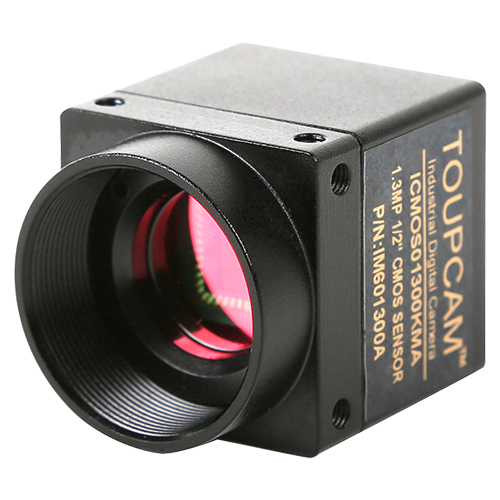 ICMOS: ToupTek ICMOS camera is an industrial CMOS camera and it adopts ultra-high performance CMOS sensor as the image-picking device. USB2.0 is used as the data transfer interface. 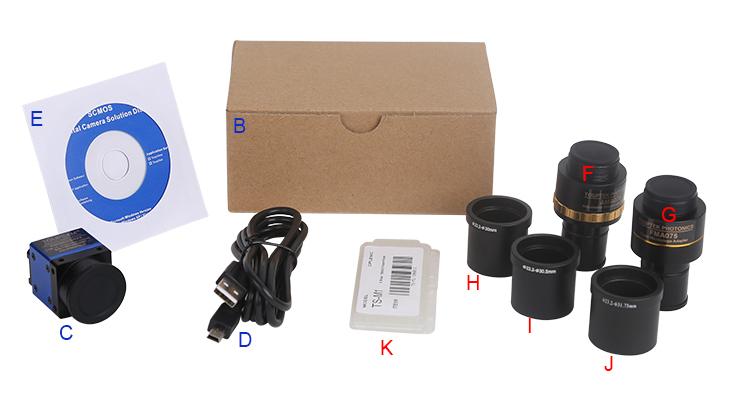 Dimensions: 29x29x29 mm excluding lens holder, without optics (metal case) is realized to obey the industrial camera standard. Also,native C/C++, C#/VB.NET, DirectShow, Twain Control API are provided. 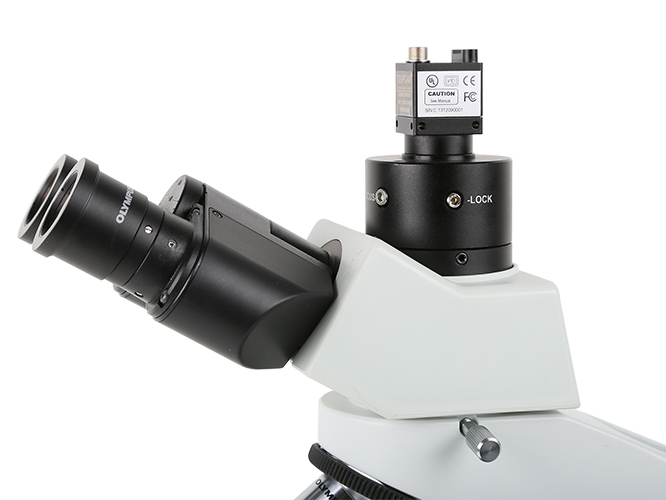 The ICMOS can be widely used in machine vision and on-line inspection. . Installation drawings(Click to enlarge). 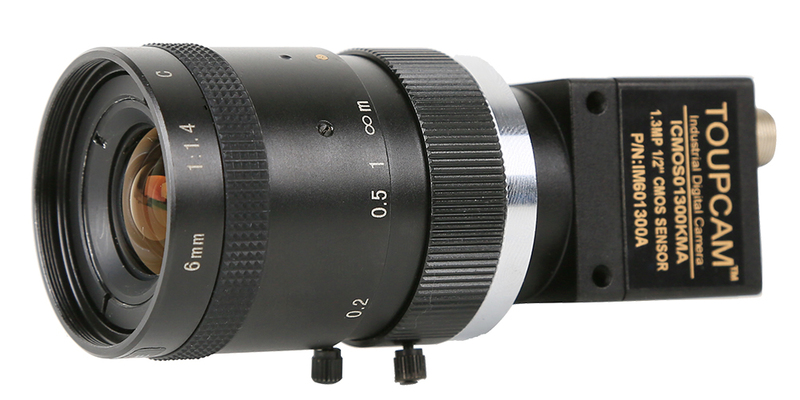 The ICMOS series USB2.0 CMOS camera body, made from tough, aluminium alloy, ensures a heavy duty, workhorse solution. The camera is designed with a high quality IR-CUT to protect the camera sensor. No moving parts included. This design ensures a rugged, robust solution with an increased lifespan when compared to other industrial camera solutions.